Look out, Southern California! Rusty Pickle is in town! 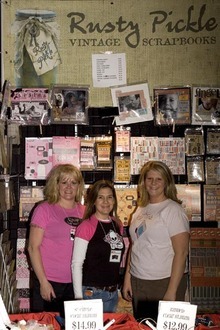 The Costa Mesa Scrapbook Expo is this weekend and The Pickle Gang will be there! We will also be hosting several ALL-NEW classes! This is the perfect place to pick up a technique or two in a Rusty Pickle class or load up on some Pickle goods! 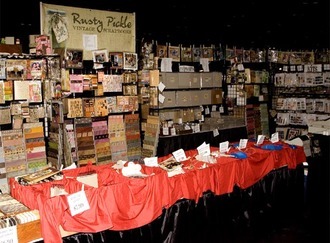 If you're an admitted Pickle-addict, you'll want to come check out the Expo and say "hi" to the Pickle People! Also, a little birdie told us that there will be a limited supply of the ALL-NEW WHITE CHOCOLATE BUNNIES line! Click on the link below for event details. Hope to see you there! Please note: If you wish to enter today's drawing, please make your entries within the previous post for they will not be counted otherwise. Good luck to everyone who enters! Our team had a blast kicking off the Show Season in Houston! Those of you who made it out to the event, thank you! We love meeting other Rusty Pickle lovers! You sure made our first show of the year spectacular! 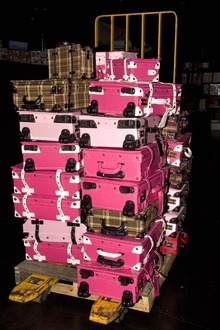 Were you one of the lucky ladies who got her hands on an RP trunk? 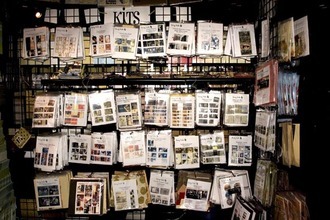 Attention kit-lovers: We've revamped our kit section in the booth! Presenting, the latest additions to the Rusty Pickle family! We hope you enjoyed this little snippet of our weekend! Remember, if you have photos to share, we'd love to see them (especially the ones with Lance)! The Pickle Gang is in the Houston area this week with some ALL-NEW classes! If you're an admitted Pickle-Addict, you'll want to check out CKC Houston! It's the perfect place to pick up a technique or two in a Rusty Pickle class or load up on some Pickle goods! Click on the link below for event details. And that's not all! Lance is in town and will be teaching classes at several stores in the area! 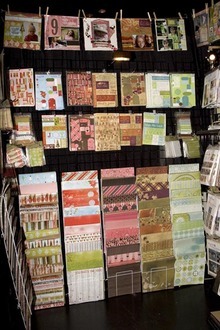 For store & class information, click the links below. p.s. Don't forget your camera! If you take a photo with Lance, he'd LOVE to see it. Email it to us and we'll post it on his blog!